There are various techniques used by part-time traders to make profits and remain successful as an investor. Part-time traders should adopt certain effective trading strategies and have a proper trading plan in order to improve their success ratio. They should carefully evaluate the risk/reward profile of various asset classes and diversify their investment portfolio in order to minimize losses. Binary options can be a good investment option for part-time traders since the returns are higher (can be up to 80% of the investment) and the risk is also capped. Some popular techniques that can be helpful for part-time traders include leveraging, social trading, scalping, swing trading, hedging etc. Swing trading is a really popular technique among part-time traders where they make profits by using technical analysis tools to search for stocks having a short-term price momentum. Swing trading is a short-term trading technique where the traders hold the stocks anywhere from 1 day to several weeks depending on the market conditions and the trading strategies adopted by them. This technique is suitable for part-time traders since it does not focus on precise entry and exit points and they don’t have to keep monitoring the stock price always. Swing trading always assumes a larger price movement and requires the use of both fundamental and technical analysis tools. Hence you should carefully size your position and make use of stop-loss orders to minimize the risk. Swing traders make money by trading stocks which are highly volatile and experience large price movements within a shorter time frame. Leveraging is one of the popular techniques used by day traders and Forex investors to boost their profits significantly. Also called as margin trading, it allows investors to open positions beyond the available trading balance in their account by borrowing money from the brokers. Leveraging can be used by part-time forex traders to gain maximum profits but it is also risky at the same time since the losses will be very huge. Depending on the size of your trading account, you can leverage your investment in the ratio anywhere from 50:1 to 200:1. Even in equity market, traders can leverage but usually they are allowed to borrow only 2:1 from their brokers. By leveraging at a ratio of 200:1, you can a place a trade for $200,000 by just having a balance of $1000 in your trading account. If your trade is successful, the profits you obtain will also be very huge. At the same time leveraging can also amplify your losses significantly if the market moves against you. 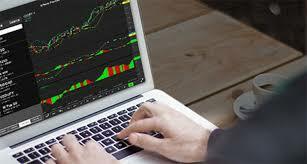 Social trading is also one of the easiest ways for part-time traders to boost their profits. In a social trading network, investors are allowed to interact with one another, monitor or follow other traders and copy the successful trades of other investors. Social trading can be considered as an ideal technique for part-time traders who might not have enough time to perform detailed market research for making the right trading decisions. Copyop trading is one such popular social trading platform where beginners can follow the experienced traders and automatically execute the successful trades of other investors in their own accounts as per the terms and conditions defined by them. Also it minimizes the learning curve for part-time traders by allowing them to swiftly adopt the trading strategies used by top performers in the social trading network. Getting started with social trading is very simple and all you have to do is open a trading account with a broker that provides a social trading network. Once you join you can search for investors who suit your trading style and start following them. You can also get in touch with them through chat and view their personal profiles. Once you are confident about their trading strategies and feel that they are always successful, you can place a request to automatically copy their trades and execute them in your own account. You can also allocate certain amount of funds from your account for this purpose. Scalping is a popular day-trading technique which involves making money from minor changes in the intra-day movement of stock prices by trading multiple positions within a same day. Since the positions are usually small and profits are also less, scalpers tend to place numerous trades within the same day. Scalping requires lot of patience and requires traders to actively follow the market trends. Scalpers should always have a strict exit strategy since one big loss could nullify all the small gains which the trader has achieved earlier. Scalping focuses on smaller movements in stock prices and limits the exposure to the market which can also minimize the risk. Since smaller moves are more frequent in the market, it is easier for traders to grasp them and make profits by placing numerous trades within the same day. There are lot more techniques which part-time traders can capitalize on to increase their success ratio. Since they have an inconsistent trading schedule and can’t afford to monitor the market trends continuously, there are chances for them to miss good trading opportunities. Hence they should always maintain a watch list and get notified for sudden movements in any of their interested assets. By having an effective trading plan, making use of technical indicators and adopting powerful trading strategies even part-time traders can make money like a professional.